A sale of property and services are something which happens in a lot every single day. If the matter in question is of a small amount of money we generally do not pay too much heed. If the amount involved is of substantial value, then there is a chance that some will eventually result in disputes and grievances. When this happens, then an advocate by your side will be of great value. The sale of a good or service is actually the two parties, the buyer and the seller, entering into an agreement between them for the sale to take place. To understand the nuance of the whole system, one needs to know what a contract is in the legal terminology. According to the “Indian Contract Act 1872,” a contract is an agreement enforceable by law. What is troubling is that enforcing such a contract is a massive problem in India because the legal system is very slow and litigious. In fact, India has been ranked 185th out of 191 countries by a survey done by World Bank, which measures the ease of enforcing a contract. A sale has other ramifications, as well. There is the concept of agreement for sale, which is basically an understanding between parties that a certain product or service will be sold on the fulfilment of certain terms. Then there is the concept of Sale Deed. This is a document that is executed when the entire set of promises (like payment of money) is fulfilled and the next set or a promise (like transfer of property) is completed. Finally, there is a Deed of agreement; this is when the ownership of an object is finally transferred to the new owner after he keeps his end of the deal. If things are not clear to you so far, it means that you are not well versed in the legal language. Do not worry, the majority of us are not and this opaque understanding will lead us to trouble time and again. The best way to make sure you are not being taken for a ride is to make sure that you have an advocate assisting you all the way. How will an advocate assist you? He will first and foremost make sure that all the contracts that you will enter into with the other parties are valid in the eyes of the law. Secondly, he will keep a keen eye and make sure that there is no breach of contract. If the breach is in any way harmful to you, then he or she will waste no time in suing the guilty party. Registering a case in the court and also registering a FIR in the appropriate police station needs an experienced hand fully versed with the nuances of the law, which your advocate will most certainly be. Going into a sale without an advocate is like walking on the street blindfolded. Sooner rather than later, you are sure to meet with an accident. 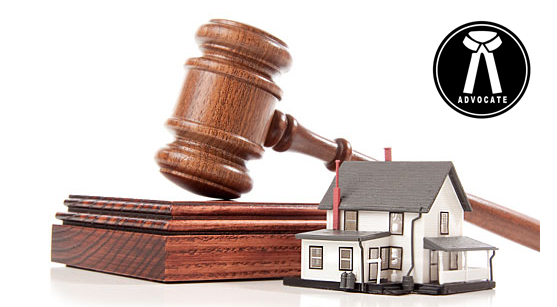 Advocates in Chandigarh have more experience and knowledge in handling such matters. Just remember us and we will help you in your time of need.